Quick overview Controversial and captivating, this uniquely accessible guide explores what happens when evolutionary theory is applied to human behaviour. 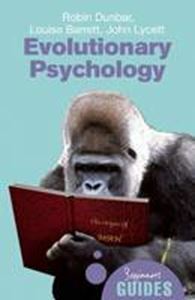 Evolutionary Psychology: A Beginner's Guide is a uniquely accessible yet comprehensive guide to the study of the effects of evolutionary theory on human behaviour. Written specifically for the general reader, and for entry-level students, it covers all the most important elements of this interdisciplinary subject, from the role of evolution in our selection of partner, to the influence of genetics on parenting. The book draws widely on examples, case studies and background facts to convey a substantial amount of information, and is authored by the UK's leading experts in the field, from the only dedicated research and teaching institute.